If you thought I was done with birch branch projects, oh how wrong you would be! During the holidays I made mini tree place cards and tiny ornaments. I also have birch branches in a tall glass vase adorning the landing on my stairs. But here’s another project using a bit larger birch branch. This one might be my favorite yet and can be used all year long. 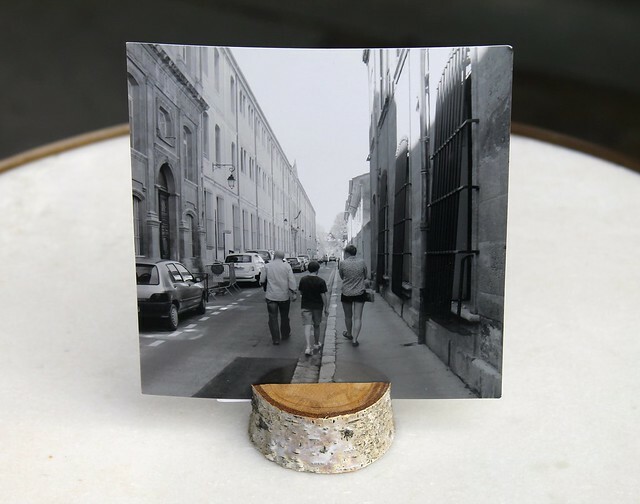 A simple project that will hold a photo or a card and give it a rustic vibe. 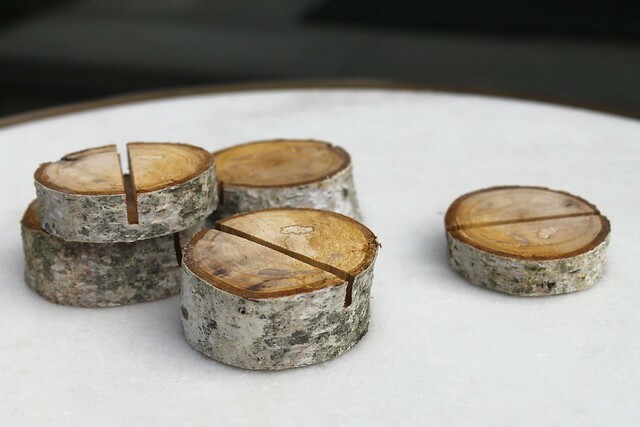 For this project I used a birch branch that was approximately 2″ in diameter and cut them 1″ thick. We used a table saw to do this and then to cut the space to hold a photo or card, we lowered the blade and cut only half way though the block or branch piece. You could use any kind of branch that is the right size to support a small photo or card. I happen to love birch trees and every time I walk through a park in my neighborhood I see branches laying under the large birch trees. I grab them before the Town Parks and Recreation Department comes through to maintain the park. The photos above are from Social Print Studio. I ordered several sets of the Dana Point sunsets that we used to take every night the last year we lived in California. The photos are wonderful quality, thick paper with a white border. My love of photos taken as people walk away from me continues. This is a favorite that I also used on this project that I recently discovered was featured on Cool Mom Picks and Cool Mom Tech! How cool is that? 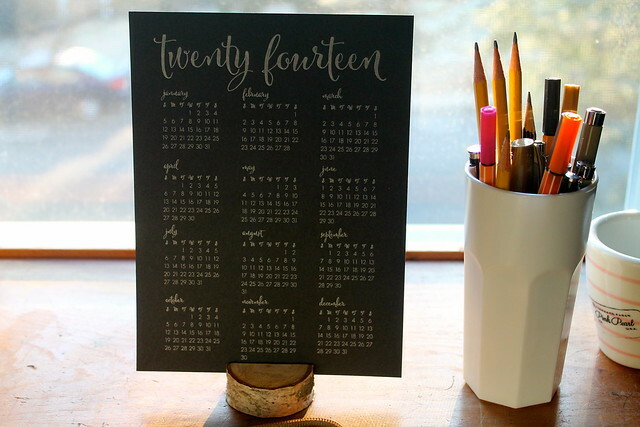 … And below, I used one to hold my beautiful letterpress calendar from BloomLetterpress on my desk. I love the idea of using something natural to display a photo or a calendar. Thank you for sharing! I never would have thought of this. I hope you are having a great day! Please put some of these in your etsy shop! Love! 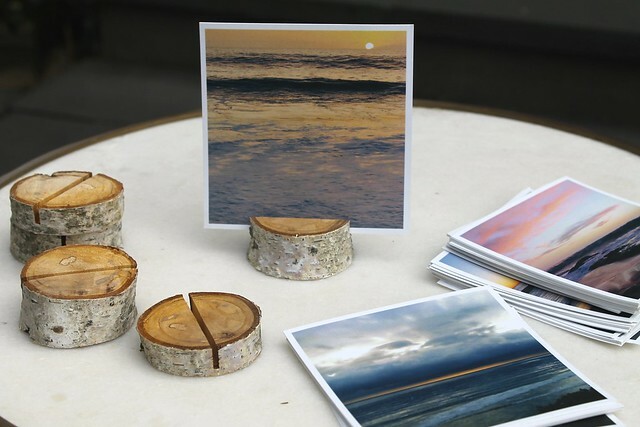 Your birch stands and photo’s of Dana Point are… Way COOL!! I too love birch, they remind me of nature more than any other tree branch and also of happy family times in Northern Minnesota, our Summer get away!! !